Canada Residential schools abuse. PM Trudeau seeks pope's apology. Church abuses in residential schools. The arrival of Europeans to North and South America at the end of the 15th century CE marked a major change in Native societies throughout the Americas. Millions died due to diseases imported from Europe, programs of slavery, and outright extermination. Invading Europeans and their Christian missionaries generally looked upon Native Spirituality as a worthless and dangerous superstition inspired by the Christian devil, Satan. During the late 19th century and much of the 20th century, the Canadian government's goal for their Native populations was assimilation. Sometimes this is referred to contemptuously as "Making apples" -- changing the culture and religion of Native peoples so that they become "white" on the inside, even as their skin remained red. The goal was to force Natives to vanish in plain sight, within the larger, predominately white, society. This is frequently referred to as cultural genocide: wiping out an entire culture. A key component of this policy was the church-run residential schools system, which were operated for over a century, from 1857 -- a decade before Confederation -- to 1995 when the last school was finally closed. A total of about 150,000 Native students passed through this system. Many had been kidnapped without permission from their family of origin. They were often forbidden to talk with each other in their native languages, and physically punished if they did. All or essentially all were subjected to physical, sexual, spiritual, and/or cultural abuse. Initially, about 3,000 students were believed to have died in the schools, largely due to the spanish flu after World War I, and tuberculosis. By 2015, this number had risen to 6,000 known fatalities. The odds of a given child dying in a native Residential School was 1 in 25. This is almost identical to the odds of a Canadian soldier dying in action during World War II! The federal government established a Truth and Reconciliation Commission (TRC) to study the "... abuse inflicted on Indigenous peoples through the Indian residential school system, and the harmful legacy of those institutions." 2 The TRC officially started on 2008-JUN-02. For six years, the TRC travelled throughout Canada listening to testimony from over 6,750 aboriginal witness/survivors. 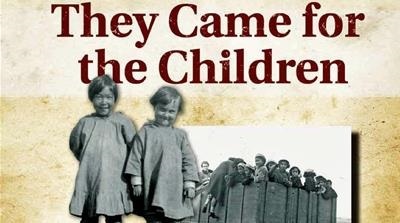 4 During 2015-JUN, the Commission issued an interim 360 page report that documents the stories of some of the survivors: of being taken unwillingly from their parents, and forcibly relocated to residential schools where they were abused, neglected, and had been subjected to attempts to destroy their language, religion, culture, and traditions. "... way we talk to, and about, each other." Trudeau announced the creation of a national council for reconciliation to implement the TRC's 94 final recommendations. He said that his government had already initiated some action on 41 recommendations out of those 45 "calls to action" that fall under federal jurisdiction. One of the key recommendations of the TRC was the creation of a second inquiry into missing and murdered indigenous women and girls, which is now underway. Already in 1991, Canadian Catholic Bishops and leaders of men and women religious communities had issued a statement that 'We are sorry and deeply regret the pain, suffering and alienation that so many experienced' at the Residential Schools. Here are some of the apologies that have been made over the years by Roman Catholic groups in Canada. Statement by the National Meeting on Indian Residential Schools Saskatoon, Saskatchewan - March 13-15, 1991. Extract of Let Justice flow like a Mighty River, Brief by the CCCB to the Royal Commission on Aboriginal Peoples, 1995. One of the 94 recommendations made by the TRC in mid-2015 was that the federal government seek an official apology by the Roman Catholic Church for its abuses in the residential school system. "... reminded me that his entire life has been dedicated to supporting marginalized people in the world. ... We talked about how important it is to both highlight the scientific basis of protecting our planet, with the moral and ethical obligation to lead and to build a better future for all people on this earth. ... I also had an opportunity to have a deeply personal and wide-ranging, thoughtful conversation with the leader of my own faith."